As the lead agency in social protection, the Department of Social Welfare and Development continuously conducts advocacy activities to promote the rights and welfare of the disadvantaged and vulnerable sector, including older persons. One form of advocacy is the celebration of the Elderly Filipino Week on October 1-7to be led by the DSWD in partnership with other government agencies, local government units (LGU), and senior citizens associations. This year’s theme, “Pagmamahal at Respeto ng Nakababata, Nagpapaligaya sa Nakatatanda”, emphasizes that older persons should be loved, cared for, and respected. Jorge Banal, president of the Federation of Senior Citizens in the Philippines, National Capital Region chapter laments that some young people nowadays seem to have lost respect for their elders. “Minsan hindi na pinapaupo sa mga bus, o kaya ay binabalewala na lang (Sometimes, older persons are not given seats in buses or they are just taken for granted),” he said. On September 26, President Rodrigo R. Duterte led the ceremonial signing of the Implementing Rules and Regulations (IRR) of Republic Act (RA) 10868 or the Centenarians Act of 2016 at the Malacañang Palace. The law states that all Filipinos, who have reached 100 years old and above, whether residing in the Philippines or abroad shall be honored with a Letter of Felicitation from the President of the Philippines congratulating the celebrant for his or her longevity; and a Centenarian gift in the amount of one hundred thousand pesos (P100,000). As part of the annual Elderly Filipino Week on October 1-7, the first Sunday of October is also declared as National Respect for Centenarians Day during which, all Filipinos who have turned centenarian in the current fiscal year shall be awarded a plaque of recognition and a cash incentive by their respective city or municipal governments in appropriate ceremonies in addition to the Letter of Felicitation and centenarian gift. Moreover, the Department continues to advocate for the strict implementation of Republic Act (RA) 9994, or the Expanded Senior Citizens Act of 2010, which provides more benefits and privileges to older persons. They are entitled to 20% discount on the purchase of certain goods and services, special 5% discount on prime commodities and basic necessities, and 5% utility discount on electric and water consumption. “By implementing the law’s provisions, we are promoting and upholding their rights. 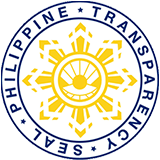 The Department also encourages the public to report to the authorities cases of elderly abuse to ensure their well-being and protection,” Sec. Taguiwalo stated. “The abuse of senior citizens should never be tolerated. In the same way that we care about children and protect them from abuse, we also care about senior citizens. Many of them are very vulnerable and they should not be subjected to neglect, exploitation, or abuse,” Sec. Taguiwalo added. Presidential Proclamation No. 470 mandates the annual celebration of Elderly Filipino Week or Linggo ng Nakatatandang Filipino every first week of October to emphasize the important role that older persons play in nation building, as well as raise awareness, and address issues concerning the older persons’ sector. The DSWD also implements a Social Pension Program particularly for indigent senior citizens, entitling them a P500 monthly stipend to augment their daily needs. The qualifying age was lowered from year to year – this year, the qualifying age is 60 years old. The DSWD has allotted PhP8,711,203,000 for 1.3 million indigent elders. Aside from discounts and social pension, the improvement of centers is a priority for Sec. Taguiwalo. The DSWD currently maintains four residential centers for senior citizens who are abandoned and neglected. These are the Haven for the Elderly in Tanay Rizal and Zamboanga City; Home for the Aged in Tagum City; and Golden Reception and Centers for Elderly and other special needs or GRACES in Quezon City. Likewise, different LGUs also provide community-based alternative living arrangements and senior citizens centers that serves as a venue for our older persons recreational, educational, health and social activities. The DSWD provides technical assistance in managing these senior citizens centers. An information campaign encouraging the public to respect the rights of the elders and to report to the authorities cases of elderly abuse is also promoted by DSWD. Every year, the kick-off activity, Walk for Life, ushers in the week-long celebration. This year, Walk for Life, spearheaded by the Department of Health (DOH) and PhilHealth will be held simultaneously in SM Mall of Asia in NCR and SM Malls in CAR, Regions, I, II, III, IV-CALABARZON, IV-MIMAROPA, VI, VII, X, XI and XII. Other sites include Ayala Mall in Legazpi City, Almont Inland Resort in Butuan City, Caraga, and Plaza Cabili Banggolo in Marawi City. An estimated 11,000 participants will join the simultaneous conduct of Walk for Life. After the walk, medical services such as consultations, random blood sugar screening, cholesterol screening, bone scanning, blood pressure measurement and vaccination shall be provided to selected participants. In addition, PhilHealth will also put up service desks to answer queries, accept member data amendment requests and distribute the new PhilHealth ID to senior citizens. Disaster Preparedness Forum for Older Persons- Quezon City Hall Bulwagang Amoranto. “Kwento ni Lolo, Kwento ni Lola”,-Story-telling session, GRACES residents with DSWD Day Care Children; Reception and Study Center for Children (RSCC) and Bago Bantay, Quezon City. Presentation of the results from the research done by Dra. Clarita Carlos on the subject: “Population Ageing in the Philippines, Issues and Challenges- Skydome, SM North.